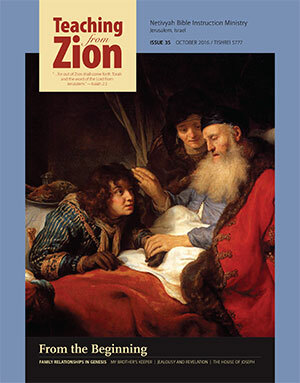 We are pleased to present this new issue of Teaching from Zion which touches on the important heroes of Genesis and the fascinating lives they led. In our current age, one of the profound issues that we face includes relationship troubles, particularly within families. It is relationships between people that suffer the most due to the swift changes in our societies, especially with the technological revolution and post-modern desire to create a “new man,” who is detached from history, traditions, and community. By examining the lives of our forefathers, the challenges they faced and the roads they took, we can learn how to better overcome our own problems and how to live in accordance with God’s will.